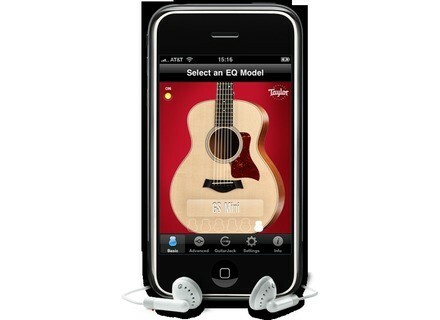 Taylor EQ, Virtual effect for iPhone / iPod Touch / iPad from Sonoma Wire Works. Players can select from a range of EQ presets that complement Taylor's signature guitar body shapes, including the Grand Auditorium, Grand Symphony, Grand Concert, Dreadnought, T5, or the new GS Mini. Each EQ preset was custom designed by Taylor Guitars' engineers to optimize the tone of each body shape for use with the GuitarJack. Players can also create a custom tone for a guitar by using the six-band parametric equalizer in Advanced EQ mode, and play along to their songs by launching Taylor EQ while the iPod app is playing. 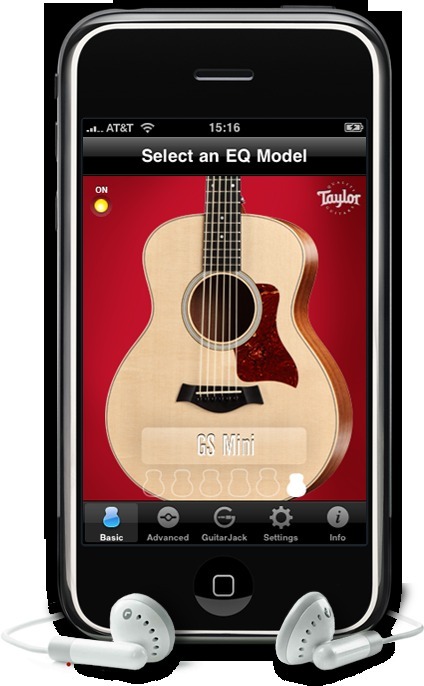 While the Taylor EQ app will work with most iPhone guitar adapters and any acoustic guitar, it is optimized for use with the GuitarJack and Taylor guitars equipped with the company's Expression System. The Taylor EQ is the first free app to include the GuitarJack control panel, which allows users to configure the GuitarJack settings and levels. Most Taylor EQ features are built-in to FourTrack to enhance recordings of Taylor guitars or any acoustic guitar. GuitarJack was announced earlier this year and connects instruments, microphones, and other audio hardware to iPod touch (2nd and 3rd generation), iPhone 3GS and iPhone 3G via 1/4-inch instrument and 1/8-inch stereo mic/line inputs. Offered at the suggested retail price of $199, GuitarJack is currently available for purchase at Taylor Guitars, Sonoma Wire Works, Sweetwater, and other select dealers. The Taylor EQ app is available as a free download from iTunes. MODARTT expands Pianos to 105 keys (8⅔ octaves) MODARTT expands the Pianoteq K1, C3 and M3 virtual grand pianos up to a range of 105 keys, making it the largest ever available in a piano, according to the company. LiquidSonics Reverberate LiquidSonics has updated the Mac version of Reverberate to version 1.620.